“Our school starts on Saturday, August 12,2017 and finishes on May 19, 2018. Classes are Saturdays from 9 am-11 am (50 hours/ year). Sports Day is on November 4, Kanken(Japan Kanji Aptitude Test) exam is on January 27 and our end of the year show is on May 19 which is open to the public. Do you have Japanese language classes for adults? 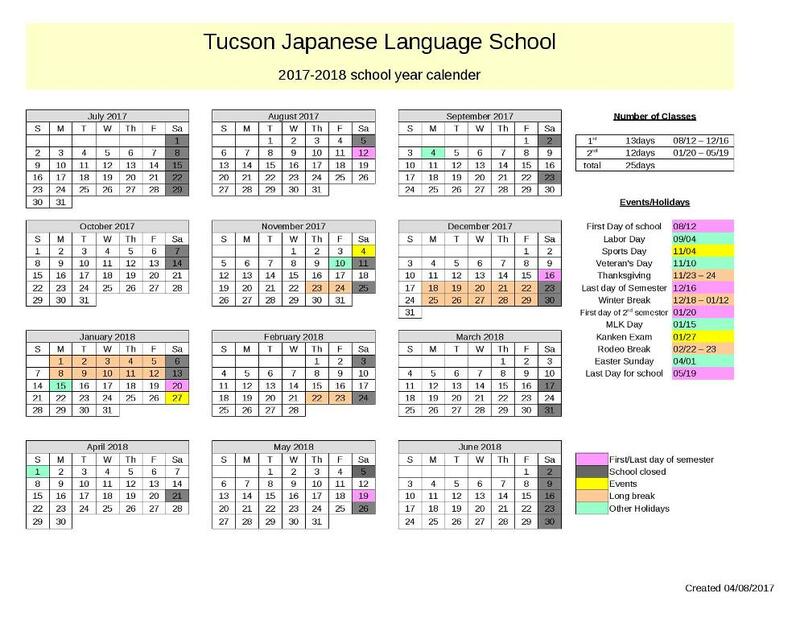 No, the Tucson Japanese Language School is only for children. But write to Hitomi McKnight and she may know someone who gives private lessons. Heather, new Japanese/English language adult Meet up group is forming. Here’s a copy of the email I got today. First mtg. is Feb. 26, 5 p.m. at La Cocina in downtown Tucson.